“The buzzworthy Sundance documentary” – Yahoo! We all know the lyrics, we may even have been a fan, but who knows what happened to the musician who brought us Sugar Man? SEARCHING FOR SUGAR MAN is the most improbable but true story you will ever witness on the big screen. Rodriguez, a mysterious Detroit singer-songwriter, became a source of hope and inspiration to the anti-Apartheid movement in South Africa and then he disappeared – until two South Africans set out to discover what happened to one of the biggest music sensations this country has ever known. The thought-provoking new documentary film, SEARCHING FOR SUGAR MAN, will be screened exclusively at select Ster-Kinekor and Cinema Nouveau theatres on 31st August and is not to be missed! 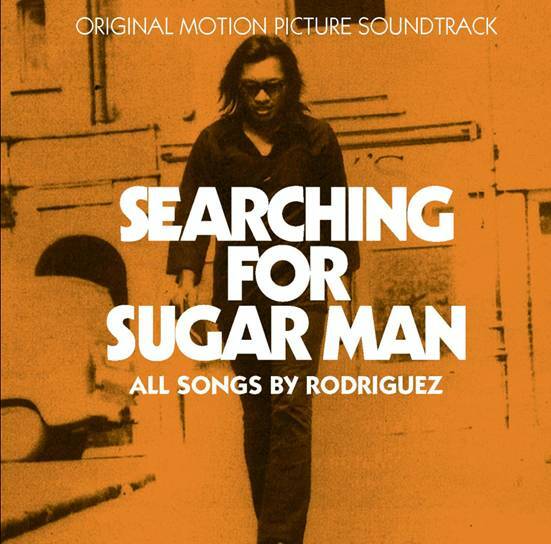 Directed by Malik Bendjelloul, SEARCHING FOR SUGAR MAN tells a story that begins with the 1970 release of Rodriguez’s debut album, Cold Fact. Discovered in the late 1960s, Rodriguez impressed producers with his Dylanesque songwriting. As a charismatic and mysterious artist he built a strong local following and became a true folk hero in the purest sense. While Cold Fact was critically acclaimed, it did not succeed commercially, and despite the release of a second LP, Rodriguez drifted into obscurity. Rumors of his fate were widely and wildly exaggerated, ranging from reports of escalating depression to a sensationally gruesome suicide onstage, involving self-immolation. Meanwhile, the LP had made its way around the world to South Africa, where it was banned by an oppressive government. Copies were bootlegged and circulated, and Rodriguez inadvertently became the soundtrack of an emerging liberal youth, including many liberal Afrikaans musicians for whom Rodriguez became an inspiration for their own music. Over the next two decades, Rodriguez became a household name in the country, where the number of copies of Cold Fact would have earned it platinum sales status. Both sides of the story, Rodriguez’s life in Detroit and the subsequent impact of his music in the smoldering Apartheid era proved fascinating to Stockholm-based documentary filmmaker Malik Bendjelloul. His subjects have included Kraftwerk, Björk, Sting, Elton John, Rod Stewart, Madonna, Mariah Carey, U2, Kylie Minogue, Prince, and others. His short documentary films for Swedish Television’s international cultural weekly show Kobra, became the basis for such films as Men Who Stare At Goats (George Clooney) and The Terminal (Tom Hanks). For booking information please visit www.cinemanouveau.co.za or sterkinekor.mobi, or call our Ticketline on 082 16789. Follow us on Twitter @nouveaubuzz, or Facebook us at Ster-Kinekor Theatres. You can also download the Nokia and Samsung Android apps and book from your mobile. The soundtrack album on Legacy will compile tracks from Cold Fact and its follow-up LP of 1971, Coming From Reality, reissued to critical acclaim in 2008 and 2009, respectively. The original motion picture soundtrack album will be available starting August 6th through Legacy Recordings, a division of SONY MUSIC ENTERTAINMENT. SEARCHING FOR SUGAR MAN, a Red Box Films & Passion Pictures Production in association with Canfield Pictures & The Documentary Company, distributed by Sony Pictures Classics, premiered in New York on April 24th at the Tribeca Film Festival. The film opened in New York and Los Angeles on July 27th and will open in other markets throughout the month of August. For a complete release schedule, visit the film’s website at www.SearchingForSugarManMovie.com. I saw this last night. It’s amazing. I was completely blown away by the man and his music. If you don’t know his story, don’t be tempted to look it up on the internet, go and see the film. Half the fun is in watching the mystery unfold.